Much of South Africa’s architectural heritage goes far beyond broekie-lace and gables. 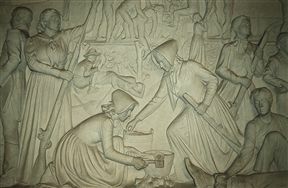 The austere Voortrekker Monument in Pretoria pays homage to the gritty trekkers who deserted the Cape Colony in the mid 1800s. The entire 62-metre high structure is loaded with symbolism, from the assegai motif entrance, to the rippling patterns and friezes of the ‘Hall of Heroes’ and the 64 laager wagons surrounding the building. There’s even an opening in the dome roof that allows the sun’s rays to light up the cenotaph every year at 12 noon, 16 December. In essence, the monument functions as a giant sundial. 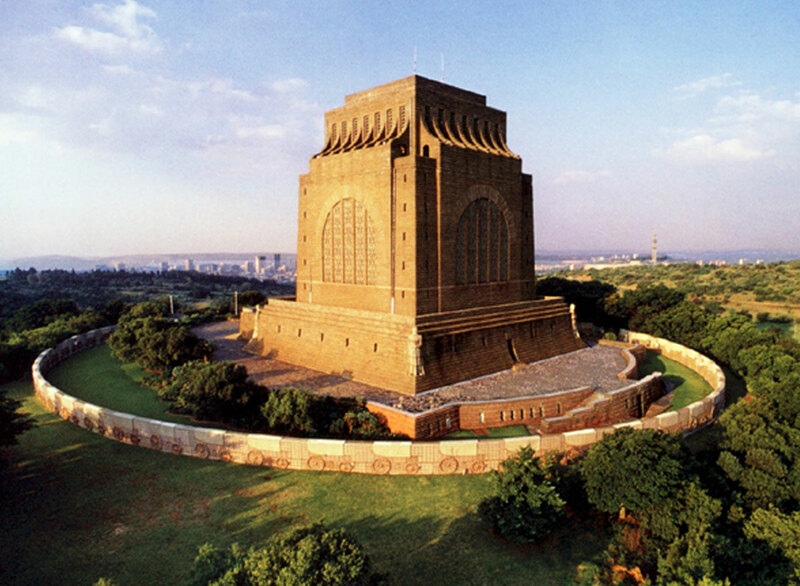 Situated on top of Skanskop and within a nature reserve, the monument boasts lovely views of Pretoria. Shops, a restaurant, art gallery and various activities including horse rides are on offer. Voortrekker Monument is 4.2km from the centre of Groenkloof , the nearest airport 6.9km (Waterkloof AFB Airport).